The Mosul campaign is back in action, which meant there was more heavy fighting. The Iraqi forces (ISF) attacked the Rafaq and Baladiyat neighborhoods in the northeast section of the city. 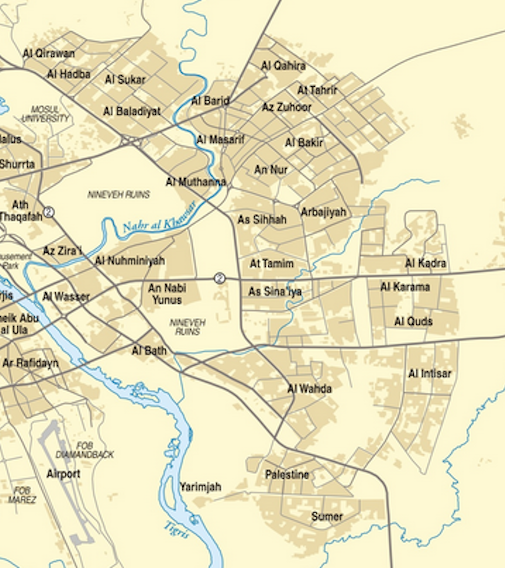 The Islamic State on the other hand was counter attacking throughout Mosul and in four towns to the west and north. Inside the city it attacked the Hadbaa, Sumer, Zaytoun, Salam, and Police Academy with 6 car bombs and 5 suicide bombers. Noor was hit with mortars, and it blew up two of its police headquarters and the Salam Hospital in Wahda in the southeast. Three civilians were also killed by IS snipers. The new plan calls for the ISF to push in from the northeast, east, and southeast by the Golden, 9th and 16th Divisions along with some other army brigades, and the Federal Police and Ninewa police providing artillery and holding areas cleared. There was more news on the displacement going on. The United Nations had 114,042 people registered with the government and aid groups. Roughly one thousand people are leaving their homes a day. The U.N. figures did not include people being displaced within Mosul because they do not sign up for assistance. On December 28 for example, IS was reported to be forcing residents out of four neighborhoods in northern Mosul. These citizens are staying within the city sheltering with others. That could easily add a few hundred more to the total. Finally, from October 17 to December 28 4,279 have been killed and 8,028 wounded during the battle for Mosul in Ninewa. The Islamic State executed 2,727 people with the other 1,552 dying in the fighting. Civilians have faced the brunt of the casualties with 3,878 killed and 6,903 wounded. 250 members of the Iraqi forces, 82 Hashd, 65 Peshmerga, 2 Kurdish Counter Terrorism, 1 Hashd al-Watani, and 1 U.S. sailor have been killed, and 811 ISF, 253 Peshmerga, 59 Hashd, and 2 Hashd al-Watani have been wounded. There was some movement on the eastern and western fronts. The Iraqi forces (ISF) freed two towns in the east, while the Hashd liberated a village in the west. The Ghazlani base in southern Mosul continued to be shelled as well. Some Iraqi papers claimed this showed that the Mosul campaign was back in action, but as of now this appeared to be more like minor clearing operations. Otherwise, the Golden Division was removing IEDs from the Zuhur neighborhood in east Mosul, and the Hashd was still working on securing the roads around Tal Afar. Members of Kataib Hezbollah and the Imam Ali Brigades said that bad weather was slowing their operations. A bigger factor was that they are in a holding position around Tal Afar because the army and police have not organized any forces to take the town itself. 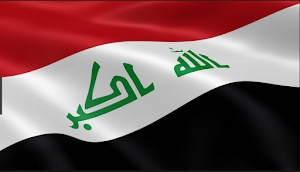 The Iraqi forces continued to plan for the next phase of the operation. They are being reinforced in the east. That included U.S. forces moving up towards the front. American Special Forces have been advising the ISF and calling in air strikes. U.S. apache helicopters and artillery have been supporting the advance as well, along with other Coalition air forces. In one day for instance, a reporter from Foreign Policy noted there were 43 planes from 9 countries over Mosul carrying out various missions from air strikes to jamming communications to re-fueling. The Islamic State continued to force people from their homes in east Mosul. Al Alam reported that around 250 families were told to leave the Jazir area. IS has been trying to get people to follow their retreat to be used as human shields, while converting the abandoned buildings into firing positions. On a positive note, a Christmas mass was held in the town of Bartella for the first time in two years. The town was taken by the Islamic State in 2014 and freed in October 2016. Unfortunately the town remains mostly abandoned and destroyed. Almost all the people that attended the service travelled there from Kurdistan where they have been staying since the insurgents swept through the area. There was movement on the northern front for the first time since the start of the month. The Iraqi forces (ISF) cleared the Police Academy and vehicle registration directorate building north of Mosul. The ISF had not done anything in that sector since December 5 when three villages were freed. Northern forces were supposed to organize to take the town of Tal Afar in the west and attack the northern neighborhoods of Mosul in November, but have been stalled. Some units have been shifted to east Mosul instead in recent weeks. The Iraqi air force dropped more flyers over Mosul. This was a mix of official statements by the government and letters written by citizens. The official ones told people to be patient and that victory was close. The others were personal letters of support for the residents of the city. 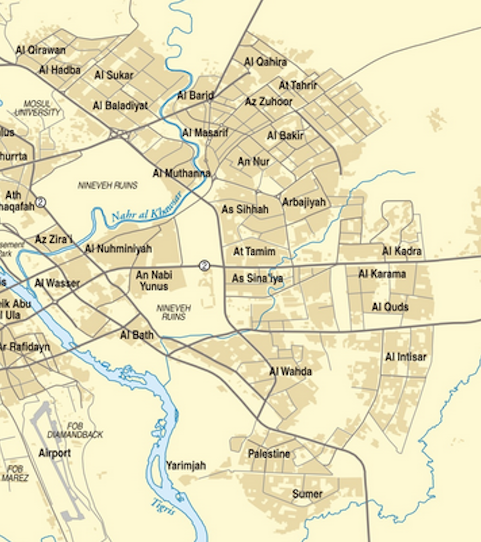 The ISF has leafleted over Mosul several times before. Iraqi commanders continue to give contradictory statements about the state of the campaign. General Abdul al-Assadi from the Golden Division told the media that the ISF was planning for a new push to free the rest of eastern Mosul. The commander of Iraqi ground forces on the other hand, General Riyadh Tawfiq claimed there was no pause, but then said in a few days there would be new operations. Due to stiff Islamic State resistance, exhaustion, casualties, lack of supporting troops, police, and Hashd to hold areas freed, and apparent reluctance by some officers to move forward, all fronts have largely halted although fighting continues. The New York Times featured an article about the future for Christians in Ninewa. 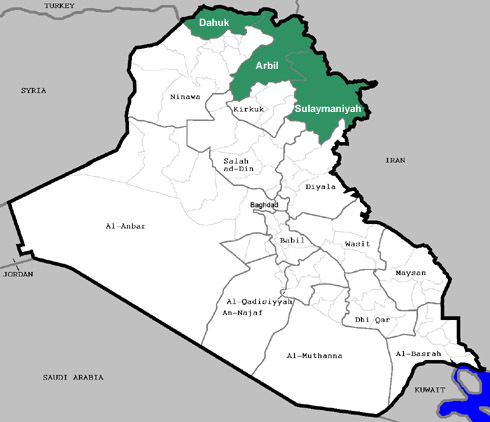 Several Christian towns such as Qaraqosh and Bartella have been freed during the campaign, but the piece questioned how many people would return to them. Christian militias who secured some of those areas said they were still afraid of Islamic State attacks, and most villages were destroyed. 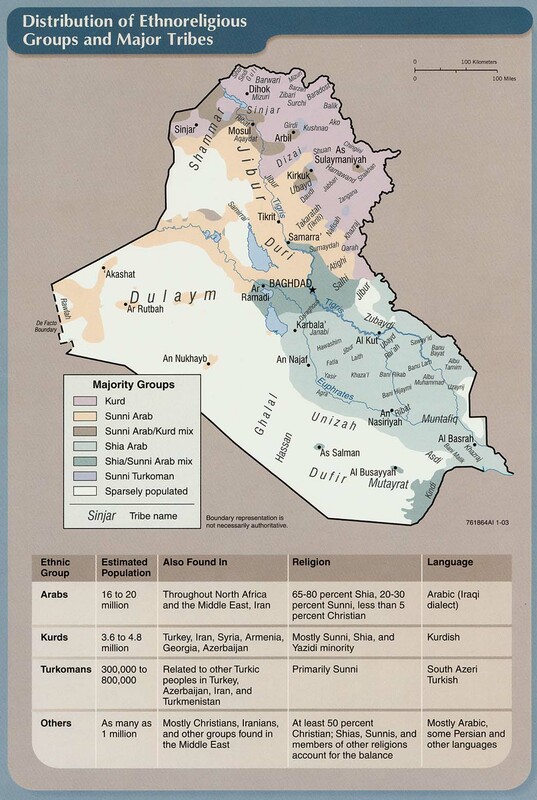 Since 2003 the Christian population of Iraq has been devastated due to violence. IS’s take over of most of Ninewa in 2014 was just the latest time they were targeted and forced to flee their homes. 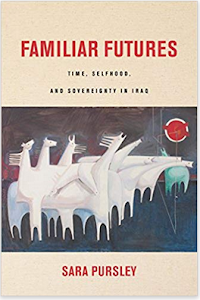 Many have resettled in other parts of the country or left Iraq overall and those trends only look to be continuing. Finally the Irbil health directorate provided new information on casualties in Iraq. Many of the wounded from the fighting in east Mosul are sent to that city’s health facilities. With the new data a total of 4,153 people have been killed in Ninewa since the start of the Mosul campaign on October 17, and 7,908 wounded. Roughly 65% of the dead were the result of Islamic State executions, 2,717. When the operation started, the group was forcing people from southern villages to retreat with them towards Mosul to be used as human shields. Later the group separated the men, especially former members of the security forces and carried out mass shootings. Another 247 people have lost their lives and 156 wounded in Coalition air strikes. The real figures are higher due to government censorship and lack of access to the frontlines and areas held by the Islamic State. The Iraqi authorities have released contradictory statements about the current pace of the Mosul campaign. 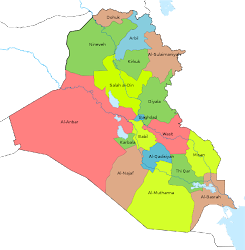 At the start of December the Iraqi forces (ISF) said they were halting their operations, but that was later denied. The reality on the ground shows that things have almost ground to a halt. U.S. Air Force General Matthew Isler told Reuters that the ISF were in an operational pause to refit and resupply before they renewed their push into Mosul. While there has been fighting across eastern Mosul each day with two car bombs destroyed and mortars killing 10 civilians and wounding 34 others on December 21, there has been little news of any real advances for the last few days. What has been happening is preparation for a new push, while trying to secure the liberated areas. A military source said that the Golden Division was looking for weak points in the Islamic State’s defenses in Mosul to be exploited when operations start up again, while the Ghazlani camp in the south has been shelled for three days now. Finally, the Golden Division was turning over areas of east Mosul to newly arrived police that have been shifted from the south into the city. That will free up units to rejoin the fight. Rudaw interviewed General Fazil Barwari of the Golden Division about the progress in Mosul. Barwari noted that several parts of the operation have not gone as planned. 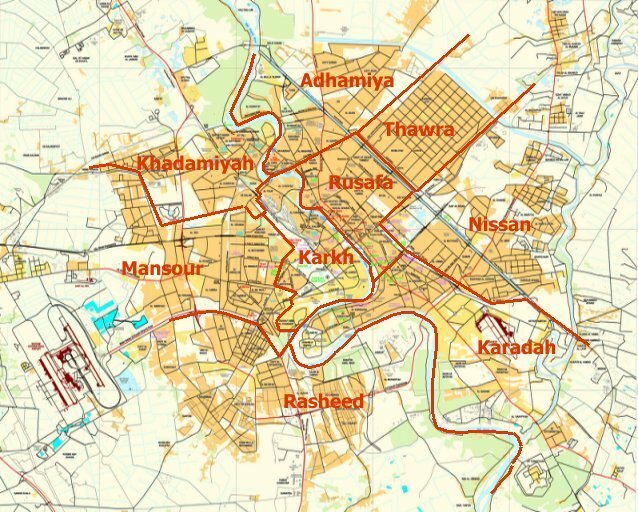 Local leaders in the city told the government that there would be a popular uprising against the Islamic State once the Iraqi forces arrived, but that didn’t happen. The ISF also expected civilians to flee conflict areas, but they didn’t making the fighting all that more difficult. Finally, the original plan was to take the city in two months. Barwari told Rudaw that there were still routes from Mosul to Syria, and that IS has received reinforcements from Syria. That contradicted statements by the Hashd who have repeatedly said they have cut IS’s supply lines to Syria. It’s obvious that the Mosul battle has been more difficult than many expected. Optimistic statements about the city being freed by the end of the year and IS defenses collapsing are slowly giving way to more realistic predictions that there are still weeks more of fighting ahead. Finally, Human Rights Watch interviewed more than 50 people from east Mosul who experienced a variety of attacks by the Islamic State as they attempted to flee the fighting. As the government forces advanced IS men went from house to house asking civilians if they would flee with them. Those that did not were labeled traitors and unbelievers and told that they would suffer as a result. IS has been targeting areas along the front and liberated ones as well with mortars and sniper fire. 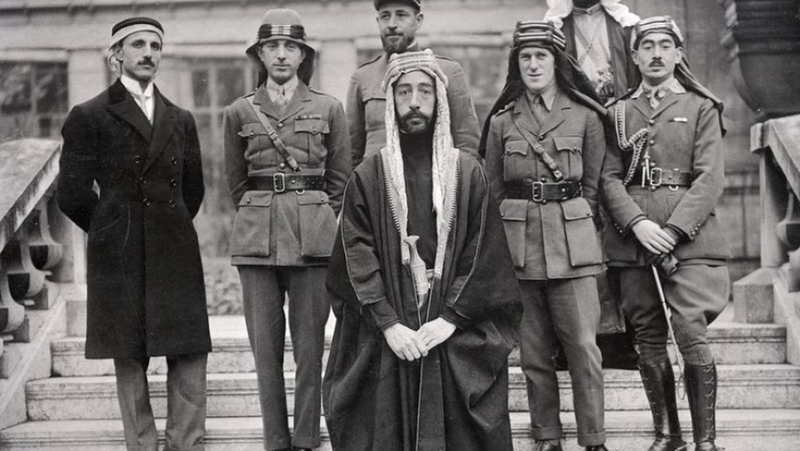 This has been documented by the Iraqi and international press as well. Almost every day the insurgents are firing mortars and causing civilian casualties. There was fighting in east Mosul but no news of any advances. The Islamic State fired mortars into three neighborhoods, and launched two suicide bombers who were killed. Around 250 homes in the Bakr neighborhood have been abandoned due to the constant shelling. The Iraqi forces (ISF) were also firing artillery at south Mosul. For the second day Ghazlani was hit. The southern front has been stalled for almost a month and a half now, and this artillery fire was one of the first signs of life. 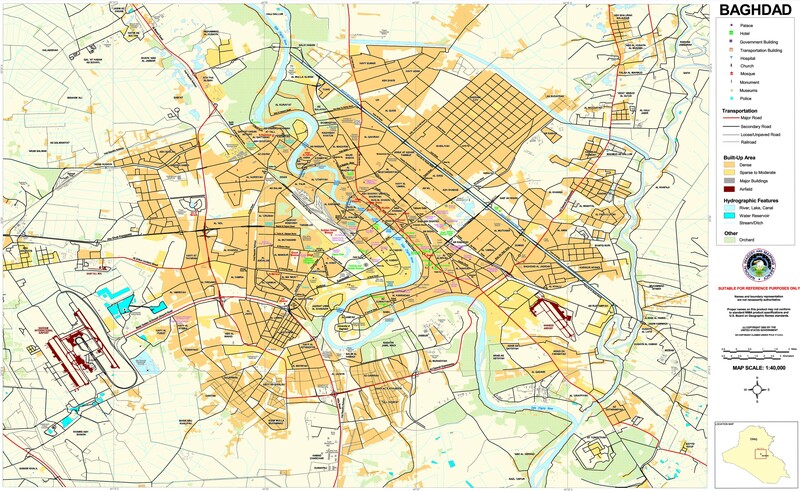 Al Sumaria also reported that families in the western half of the city were afraid that IS groups were abducting young boys to force them into service. The insurgents are suffering heavy losses in the fighting, so they may be enforcing a kind of draft on the population to bring in more fighters. The Associated Press interviewed members of the Golden Division about how the battle for Mosul was going. Soldiers said in previous battles the Islamic State fortified specific areas. That was not so in Mosul. There IS has set up small units to cover areas who use tunnels and routes through houses to attack the Iraqi forces who move through neighborhoods in columns of vehicles, and then scurry off to another position. These fire and maneuver tactics have been able to hold up the ISF. The fighting has also been costly. A medic interviewed said that on average he was seeing 18 ISF casualties per day just in his sector. It is these losses that are worrying. The Golden Division is doing almost all of the fighting in east Mosul and if it continues to suffer heavy losses it could debilitate the force. Part of the 9th Division is the only other unit in the city in combat. South Mosul is supposed to be attacked soon, but it appears to be still a work in progress. The insurgents also launched attacks in the south and west, and more of their dirty work was discovered. 2 car bombs were destroyed in the Aub Saif area in the south, and another town was attacked. 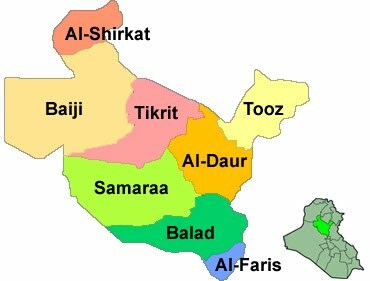 The Tal Afar airport in the west was assaulted for a second day in a row. In the Hamam al-Alil area to the south of the Mosul another mass grave was found with around ten bodies in it. Before the area fell to the Iraqi forces, the militants took hundreds of people to the area, and executed a large number of men. Many more victims are likely to be discovered. The Qayara oil fields south of Mosul were set ablaze by the retreating insurgents. The North Oil Company has been able to put out 41 wells so far, but there were still others burning. This is causing huge clouds of toxic fumes to spread over the area for two months now causing unknown environmental and human damage. The number of displaced has passed the 100,000 mark. The International Organization for Migration (IOM) had 106,692 people registered so far. Each week around 10,000 people are fleeing their homes, and almost all of these are from the Mosul district. Still more are not signed up with the government or aid agencies and are moving within Mosul itself. This situation is only getting worse with only a very few returning so far.